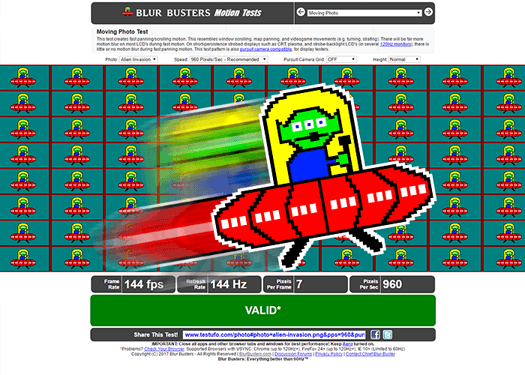 Blur Busters released the high speed video of motion blur reduction in year 2012, and we were the world’s first website to measure the input lag of G-SYNC via high speed camera in 2014. 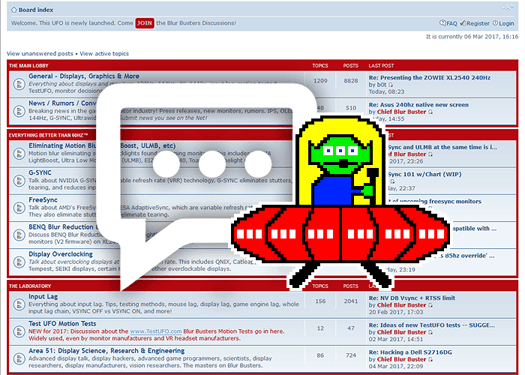 We now have a new Test UFO test, called TestUFO Scan-Out which automatically rotates between 4 different brightly colored images every refresh cycles. This test pattern is intentionally extremely flickery, for the purpose of maximizing contrast between refresh cycles during super-slow-motion video analysis. The screen refreshes top-to-bottom, with a fuzzy zone wiping down the screen. 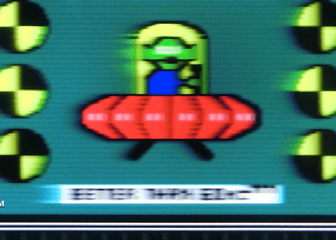 The fuzzy zone is the LCD pixel response lagging behind (GtG fade zone). The fuzzy zone appears to about one-quarter the height of the screen, which is what is expected for GtG pixel response (5ms) approximately 1/4th of a refresh cycle (16.7ms for 60Hz). As seen in these high speed videos, displays often refresh sequentially, in a top-to-bottom fashion. It is worth noting that refresh cycles cannot be transmitted instantly all at once on a cable. 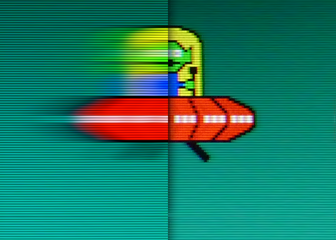 Pixels are transmitted one pixel row at a time over a cable. This is because GPUs have to serialize two-dimensional refresh cycles over a one-dimensional cable. Pixels are output one pixel at a time, left-to-right, top-to-bottom. Panel refreshing may be a different pattern, different direction, or different velocity, and may be totally different (e.g. DLP) from the cable sequence. However, most high end eSports gaming monitors are now able to real-time synchronize panel refresh to cable delivery sequence with only line buffer processing rather than full frame buffer processing. This is much much like an old CRT tube, except done flickerfree in a sample-and-hold fashion, and this reduces input lag to the absolute minimum possible. This is classic raster-based scanning on the cable, the refresh cycle direction of top-to-bottom has remained identical for nearly 100 years all the way from 1930s television broadcasts through 2020s DisplayPort and HDMI 2.1 cables, even with variable refresh rates! 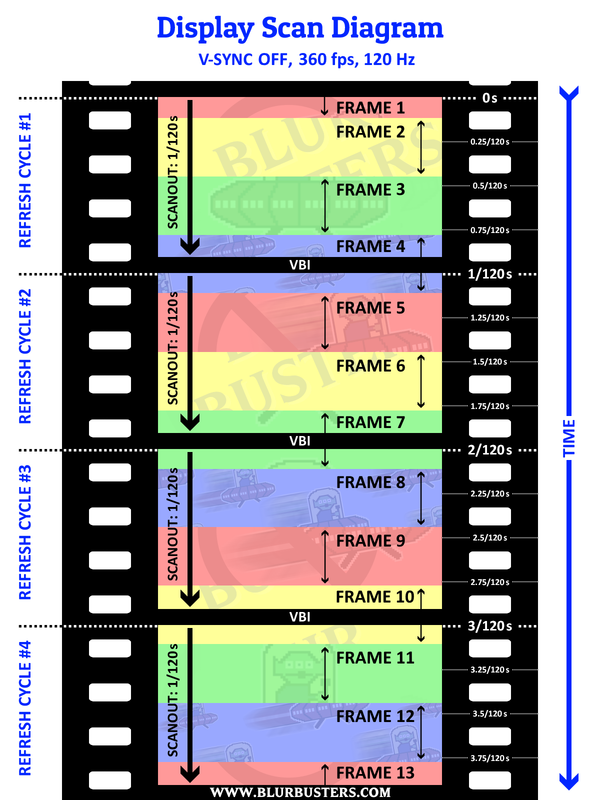 Running at a frame rate three times the refresh rate, will result in 3 tear lines per refresh cycle, although some tearlines may end up hidden in the interval (VBI) between refresh cycles. 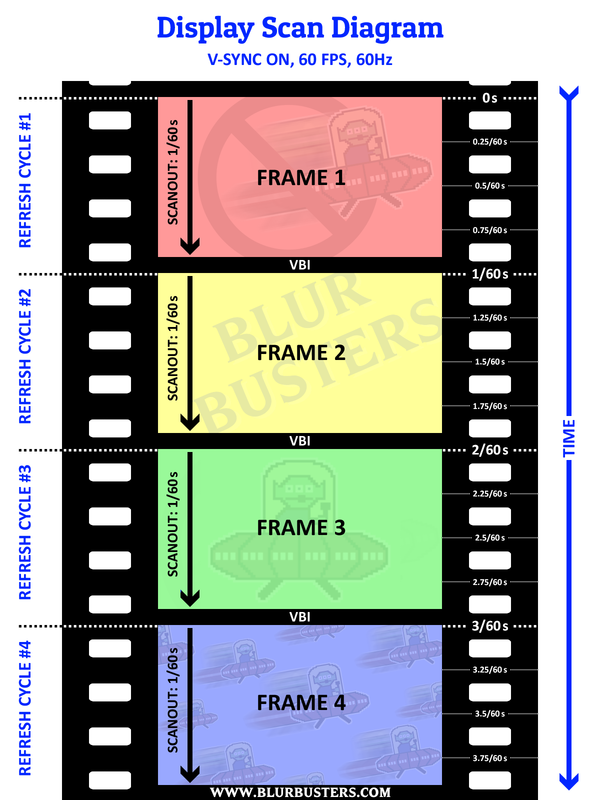 In this example, each frame slice is 1/3rd refresh cycle latency, and the updated frame (slice) is metaphorically spliced in realtime at the display output’s current scan-out position. There are advantages of framerates above refresh rates including lower input lag — which can end up being less than a refresh cycle even for the screen bottom edge. 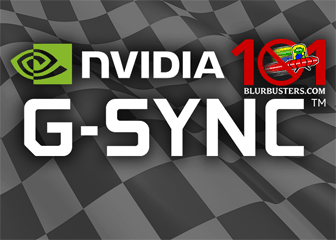 This is why paid professional eSports players often prefer VSYNC OFF. 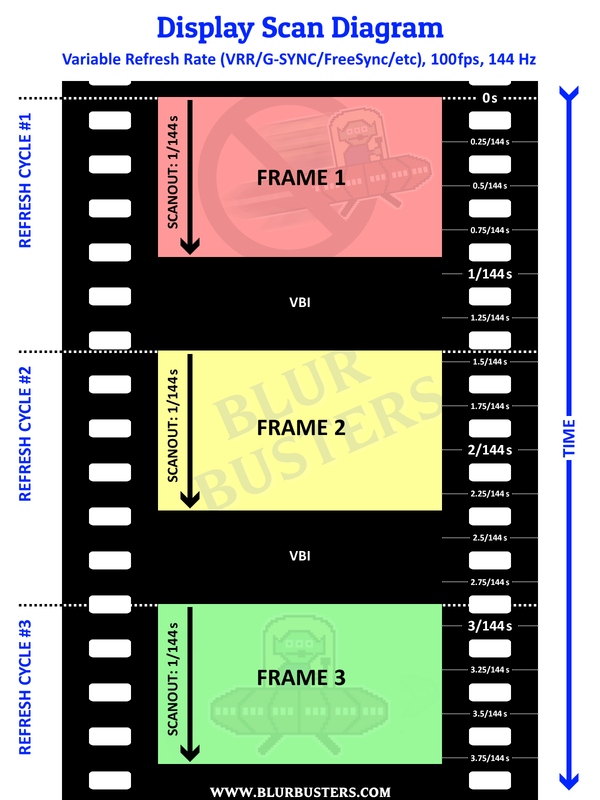 Variable refresh rate (VRR) actually varies the size of the vertical blanking interval (the pause between refresh cycles) in order to temporally space-apart refresh cycles. In this asynchronous-refreshing situation, the monitor actually waits for the computer to begin transmitting the new refresh cycle over the cable. When a video game is finished rendering a new frame and presents it to the GPU video output, the GPU output essentially immediately begins transmitting instead of waiting for the next fixed refresh interval. The monitor immediately begins the new refresh cycle right on the spot. Another huge benefit of variable refresh rate is very low scan-out lag. 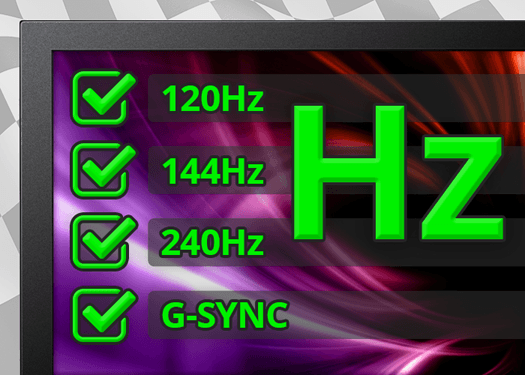 A 240Hz G-SYNC monitor can display a 30Hz refresh cycle in 1/240sec, refreshed near real-time off the video cable. This is a “Quick Frame Transport” (QFT) behavior of VRR. This is possible with VSYNC OFF at frame rates significantly exceeding refresh rates. Abnormally high latency of lower refresh rates than higher refresh rates. 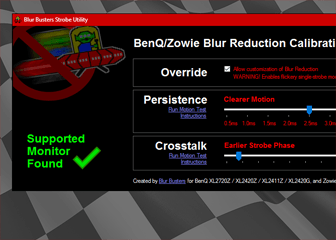 Cause: Display buffering to scan-convert a slow-scanning 60Hz signal to a fast-scanning 240Hz panel.